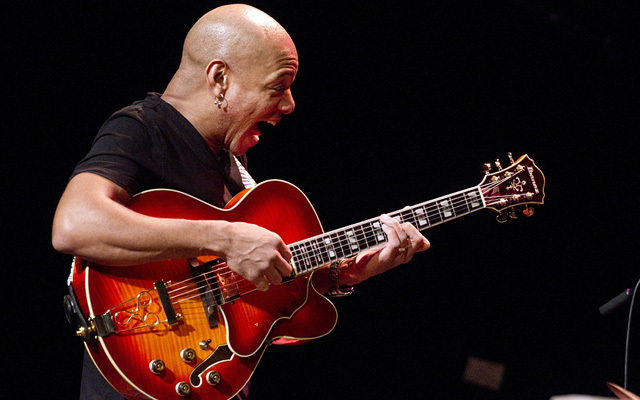 After fourteen celebrated albums, Mark Whitfield has been considered at the top of his game for a very long time; a true acolyte of his great teacher, George Benson. Most followers and even other Jazz music cognoscenti seem to recall each of his albums. But just so we never forget, along comes Grace, a timely reminder of the visceral humanity and the virtual reality of Whitfield chops, in which he also leaves ample breathing space for the other members of the Whitfield Family Band which, of course, includes sons, Mark Whitfield Jr. and Davis Whitfield on drums and piano respectively, together with honorary ‘Whitfield Family’ member Yasushi Nakamura on bass. Although he is far from residing in the old guard, Mark Whitfield nevertheless offers an approach that is well-formed and mature. His style was and remains deceptive, his limpid, euphonious tone artfully leavening his logical but nonetheless oblique and unpredictable melodic thinking. His radiant dynamics suit modern tastes and, in this instance, he also adds warmth and fresh detail in his music. By now his young sons have smoothed all the serrated edges of their performances with in the Family Band and play as if they are literally hand-in-glove with Mark Whitfield. There are no more ‘first human steps’. The boys are all grown up and, together with their father and Nakamura create music that accompanies the soul’s ascent into the stratosphere and returning it to earth between the bookends: “Afro Samurai” and “Pulse No. 2. 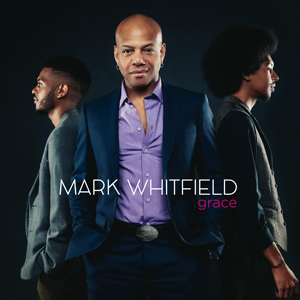 In between the two poles of the album there is music informed by a simplicity and immediacy, leaning into the musical language proffered by Mark Whitfield, not that far removed in character and spirituality to the sound world of his (spiritual) ancestors, which makes works such as “Grace” so appealing, particularly when it is performed with such fervour by the young Mark Whitfield Jr. to the irrepressible tattoo of his brother Davis’ drums. The ‘Family’ intimacy, so to speak, is preserved throughout by Yasushi Nakamura, who fit into the realm of Jazz a rather long time ago and now works in expressive harmony and rhythm with this band. One heartbeat would be an overrated cliché in many instances, but certainly not in this one. Songs such as “Double Trouble” and the swashbuckling performance on “The Socrates Curse” feature beautiful tone and superb intonation glued together with a broad range of colours and deep intensity. As are other songs in this repertoire that succeed fully in this extroverted disc. The real star here is The Whitfield Family Band, the ebb and flow and the transparency of the textures controlled by Mark Whitfield with sensitive exactitude, everything emerging lustrous, intense and vivid. Track List: 1: Afro Samurai; 2: Blue D.A; 3: Grace; 4: Double Trouble; 5: Space Between Us; 6: Fortress: 7: Undiscovered; 8: The Socrates Curse; 9: Pulse, Pt. 2. Personnel: Mark Whitfield: guitar; Davis Whitfield: piano & keyboards; Yasushi Nakamura: bass; Mark Whitfield Jr: drums; Sy Smith: vocals (3).